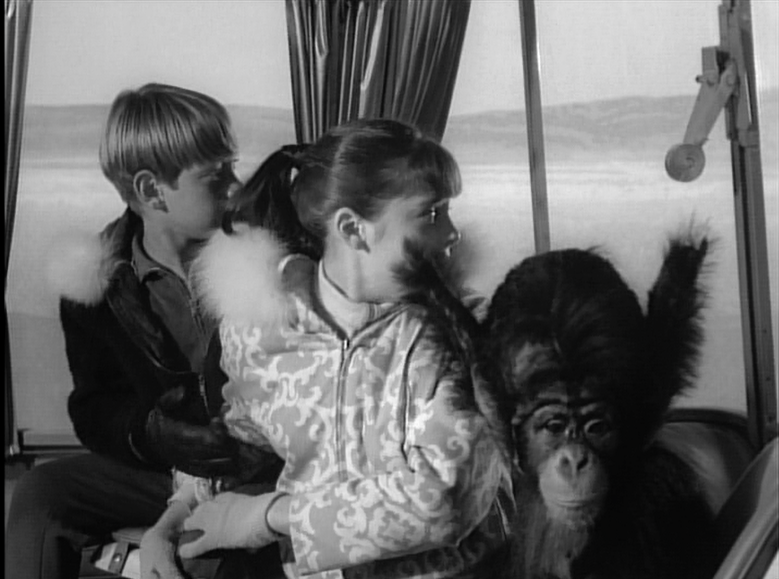 In “Islands in the Sky,” Jupiter 2 approaches a habitable planet, and since the Robinsons are “settlers,” not “explorers,” John (Guy Williams) decides that the ship must set down…and his family must attempt to start a life. He dons a space suit and para-jets to seek a good landing site. 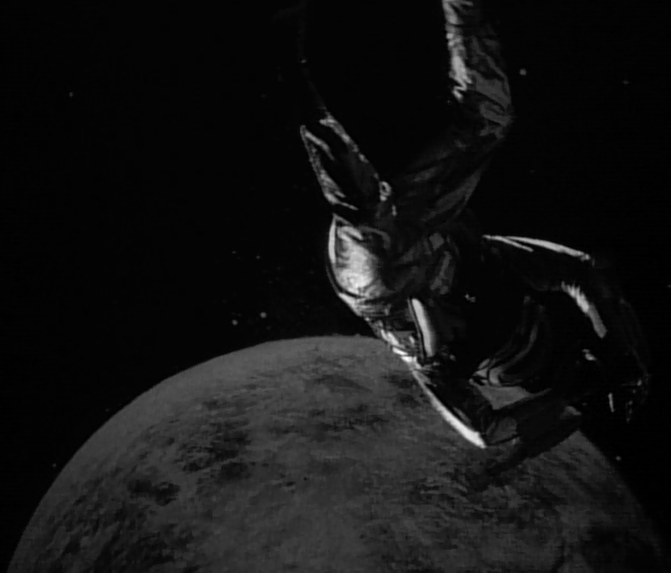 Dr. Smith (Jonathan Harris) sabotages the para-jets, however, and John plummets into the atmosphere…and is believed dead. 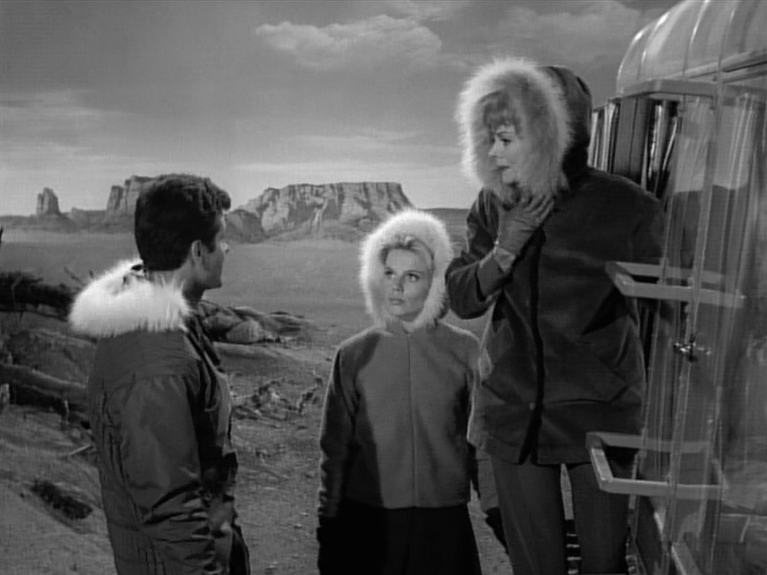 The Jupiter makes a rocky landing on the inhospitable planet, and Maureen and the others immediately set about rescuing John. They take the chariot vehicle to his crash-site, but don’t find him at first, only a weird space monkey. Later, John is found, and the family is reunited. 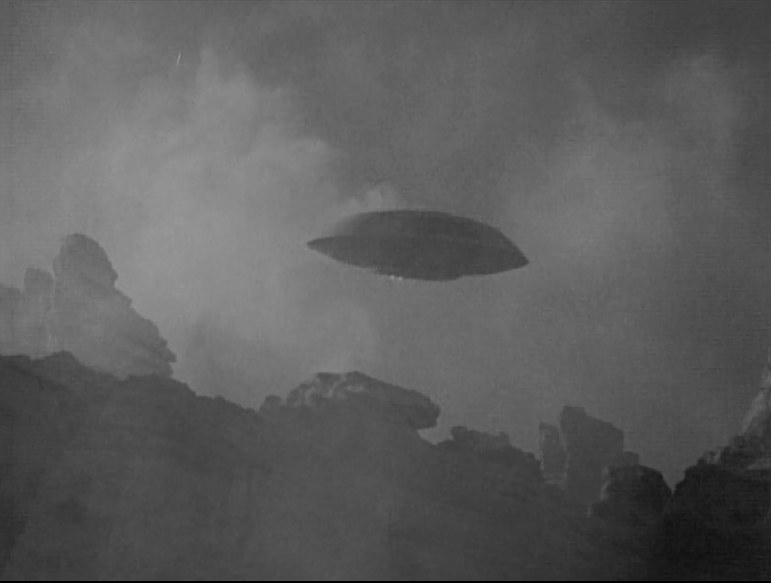 “Islands in the Sky” makes one fact incontrovertible: Dr. Smith has attempted the murder of John Robinson. He has sabotaged his para-jets, specifically. In later episodes, Smith is treated as a nuisance and sometimes as comic relief, but in this early iteration he is a bad, bad man. 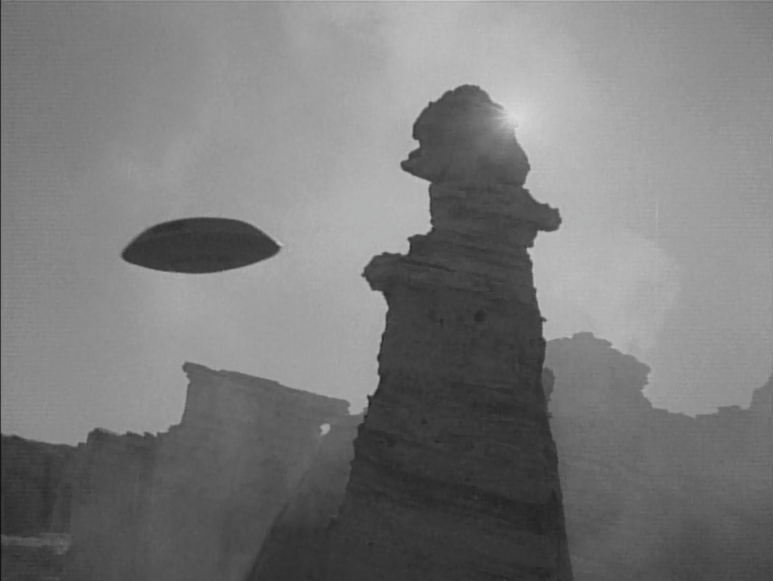 “Islands in the Sky” is the middle part of a larger story, and as such is a bit undistinguished in terms of narrative. Still, there are a couple big moments that are worth noting. 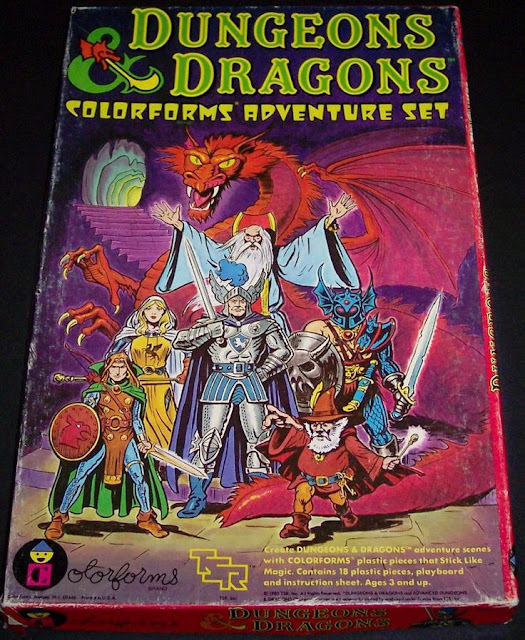 The episode’s first big moment, in my book, is the reveal of the chariot. 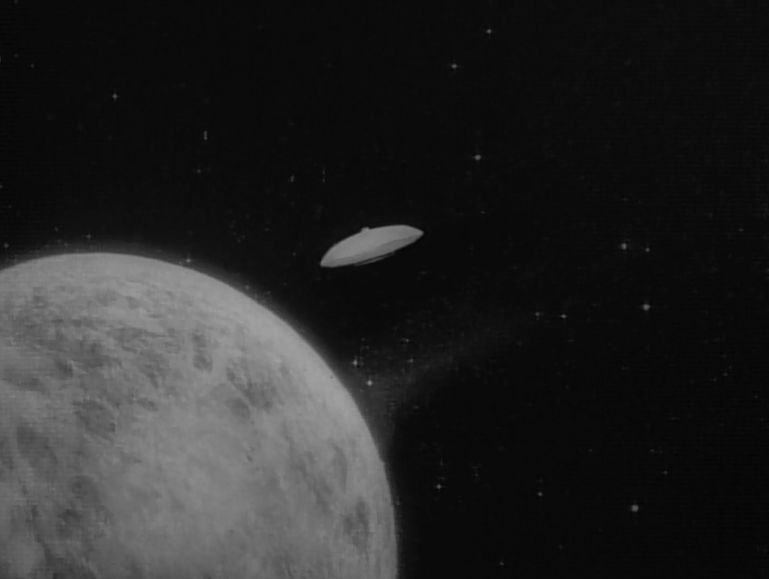 This may well be my favorite piece of Lost in Space technology. The chariot is a futuristic family buggy, and it has an entirely transparent interior. This vehicle has captured my attention since I was a small child, and I love the look of it. 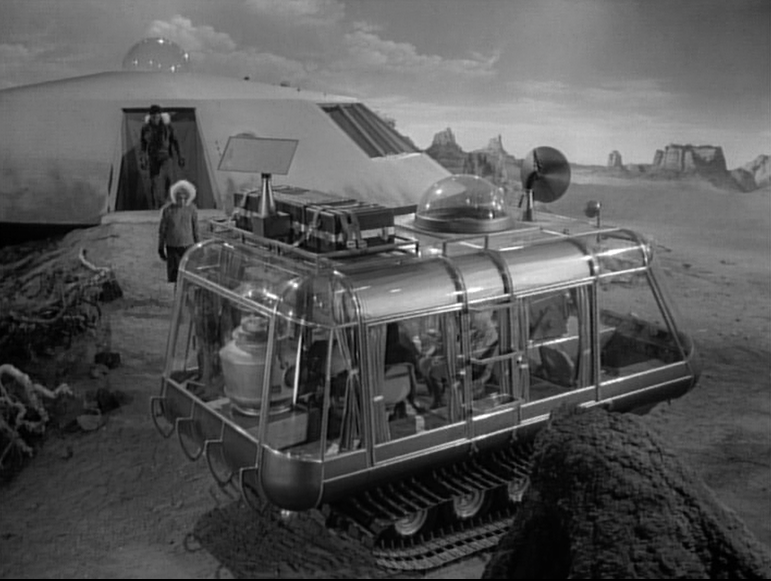 It's a wagon for the futuristic space pioneer, and I would love to drive one. 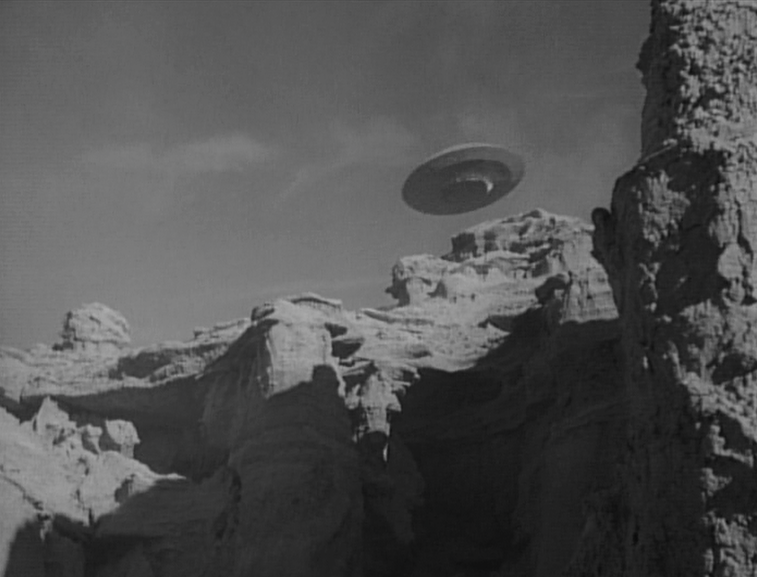 The second big moment in “Islands in the Sky” is the crash of the Jupiter 2 on the planetary surface. The ship’s (terrifying) descent looks absolutely real, and not like some tiny miniatures were used on a fake set. The landscape and the vehicle in distress look terrific. In part I feel this is true because of a focus on atmospherics. There's fog in the air, and sunshine coming down from below. Because of such touches, the crash of the J2 looks very authentic. 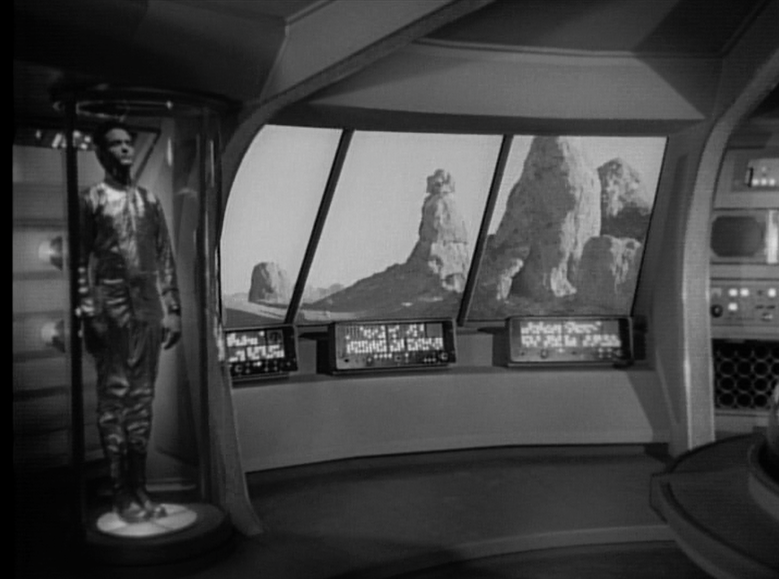 In terms of “futurism” Lost in Space still embodies a kind of sexist world-view despite being set in 1997. Here, the female contingent of the family prepares dinner for the others. Will can’t help? Boys are exempt from house work, right? And speaking of Will, he shows something of his independent nature here, slipping away without permission to repair the chariot. 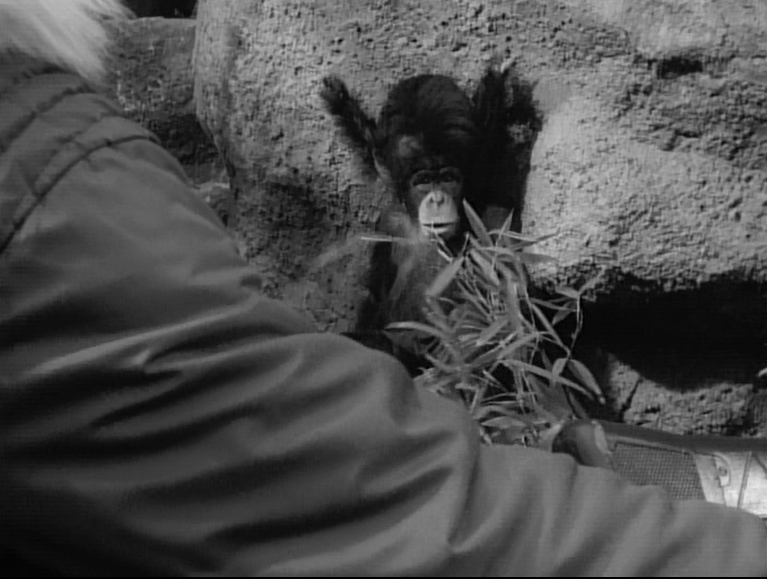 The "Islands in the Sky" episode also gives us our first look at the Robinsons' new home, a weird alien world of electrically-charged tumble-weeds and vegetation. Future episodes show us the planet's temperature shifts, and strange (gigantic!) denizens. I should mention that ME TV started airing the first season several weeks ago, right after Svengoolie (shameless plug). I have been a fan of LOST IN SPACE since first watching it in reruns on a local UHF station as a very young boy in the early '70s.